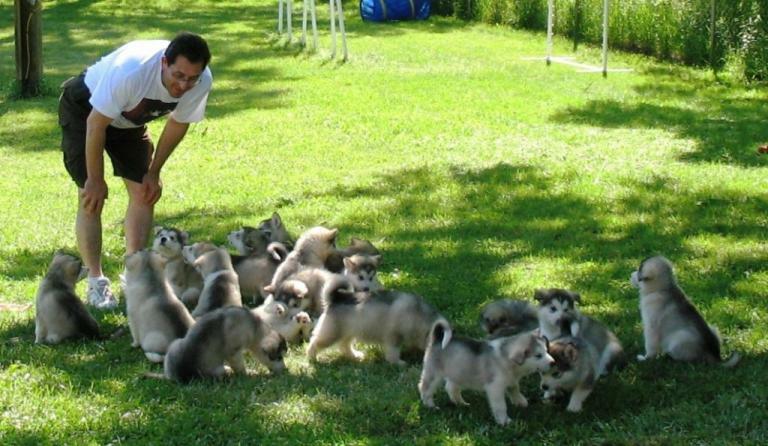 Illusion puppies may go to their new approved homes after ten weeks of age. All Illusion puppies are started with Dr. Carmen Battaglia’s “Super Dog” program. We believe that early stress produces adult dogs that cope with change easily and in today’s world our dogs need that as much as we do. We work very hard to be sure that puppies are placed with the right family for them. In order to assist us with that process the puppies are temperament tested at seven weeks of age. We have decided to vaccinate puppies according to the recommendations of immunologist, Dr. Ronald Schultz. You can read the recommendations here. Prior to leaving they are examined by a veterinarian, wormed and micro-chipped. Companion puppies may be reserved by approved homes. Please complete the Puppy Application if you are interested. 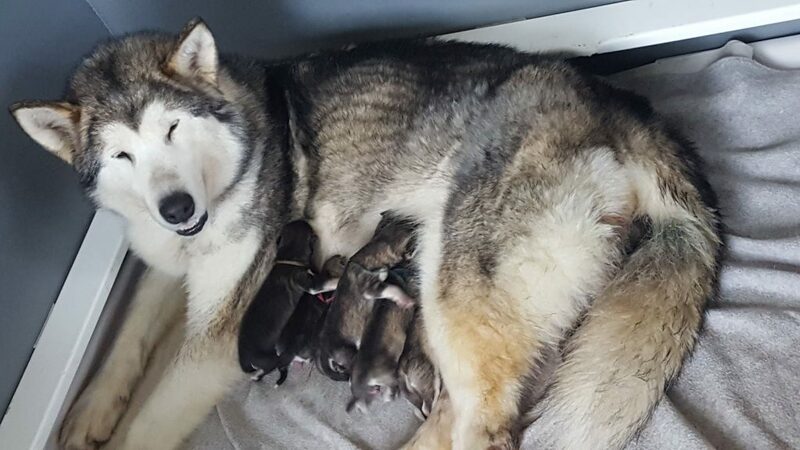 Alana and Rocco are the proud parents of nine puppies! We expect puppies with awesome temperaments and excellent show potential. Click here for the pedigree. Smooches will be bred this spring to Relic, Ch Ch Storm Sky’s Keeper Of The Past At Storm Kloud. Click here for the pedigree. If you are interested in being considered for a puppy from us, please fill out the puppy application first.